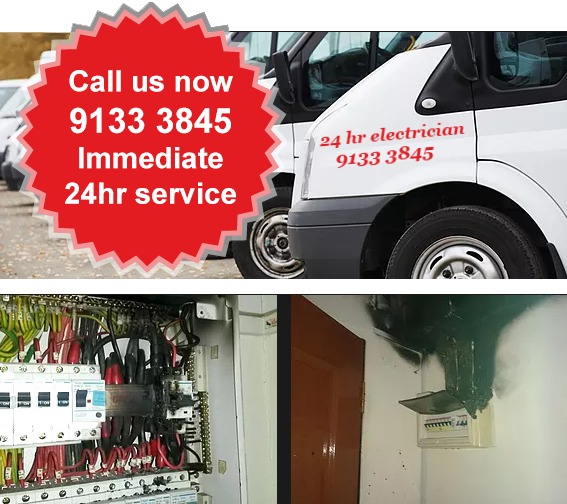 24 Hour Electricians provide you with anything from electrical socket replacement to repair oven. We have 24/7 standby teams to arrive quickly in an emergency and aim to arrive within 20 Min anywhere in Singapore. The occupant experienced a power trip when he switched on all the electrical appliances after returning home. 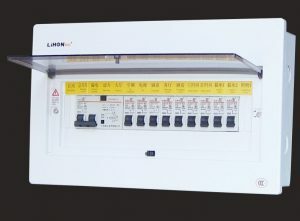 Upon resetting the consumer unit, he went about with his routine but noticed smoke at the second level of the 3-storey terrace house shortly thereafter. Fire damage was severe in the master bedroom (see Figure 14) while other parts of the house sustained heat, smoke and water damage. The burn patterns were consistent with that of a fire which originated from a location near the windows, where a computer table used to be. The burned remains of a portable socket outlet was recovered from the determined Area of Fire Origin (see Figure 15). According to the occupant, this portable socket outlet was brought over from overseas. The cause of fire was determined to be accidental and of electrical origin at the portable socket outlet. Jurong West Mr Li was 1 of 6 occupants in the bedroom where the fire originated (see Figure 10). He had just returned home and he saw fire under a clothing rack when he entered his room. He shouted ‘Fire!’ to alert the other occupants of the unit and several of them tried to fight the fire but to no avail. The fire spread to the adjacent mattresses and developed rapidly. Mr Li sustained burn injuries when he tried to retrieve his luggage bag from underneath the burning bed. The fire consumed the wooden partition between the bedroom and the living room; and spread into the living room (see Figure 11). Mr Li explained that there was a portable socket outlet connected to a stand fan and microwave oven at the Area of Fire Origin. Both appliances were not in use at the time of the fire but the power to the portable socket outlet was always left ‘ON’. The cause of fire was determined to be accidental and of electrical origin at the portable socket outlet. Be Warned! For some electrical anomalies, a fire can break out and continue after the electrical anomalies have stopped. Fire can also come about at a much later time. The circuit breaker is a device to protect a circuit from short circuit and overload damages. It is important to know that not all electrical anomalies will result in tripping of the circuit. If there is indeed tripping of the circuit breaker and fire does not break out at that material time, the circuit breaker will likely be reset and the dangerous condition will not be identified if it was successfully reset. A tripping should, therefore, be thoroughly investigated to ascertain that the electrical problem is resolved. We are 20 mins away. Do at your own RISK. If you are uncertain call 9133 3845 we will be there in 20 min. Look for the DB (BOX) look the above try to turn on the switch that is flip down. Normaly the power will resume. If power does not resume, call us at 9133 3845 for advice. First isolate electrical appliances that are not the cause of safety switch tripping. Next will be identify faulty wiring can be another issue for an electrician to do it. Suspect old electrical wiring deteriorates over time as the insulation around the wiring becomes brittle and has broken that resulted in current leakage. This is common with older HDB or Condo electrical system. The only solution is to rewire and replace the electrical cables. If the age of your home is within 5 to 7 years old, maybe pests, like rats, have bitten onto the electrical cables and caused damages. If you are looking for the best electrical service around, you’ve found us! We provide professional, respectful and honest electrical service to all our customers. We are a full service electrical company for Singapore Residential, Industrial, Commercial and Technology clients.